Laman was the oldest son of Lehi, the first prophet and patriarch in the Book of Mormon. Living in or near Jerusalem in 600 BC as a young adult in a wealthy family, Laman had adopted the lifestyle of the city. When his father received his prophetic calling to warn Jerusalem of pending destruction and then announced to his family they were leaving into the wilderness and going to an unknown “land of promise”, Laman was critical. Laman did not believe in his father’s visions and teachings. He had grown up in a Jerusalem where the teachings and practices of the Jews and their temple seemed orthodox and restrictive. To Laman, Lehi seemed to be out of step with what seemed normal. Laman sought to obey the law of Moses and honor his father, and so did follow him into the wilderness, but did so grudgingly. After traveling three days toward the Red Sea, the family set up camp in a valley with a stream that emptied into the Red Sea. Lehi said to Laman, “O that thou mightest be like unto this river, continually running into the foundation of all righteousness” (1 Nephi 2:9). The statement shows Lehi’s concern that Laman would not be righteous, nor obedient. Laman and his 3 younger brothers were sent back to Jerusalem to obtain brass plates containing the holy writings they would need on their journey. Laman went in to request the records from the owner, Laban. Laban cast him out and sought to kill him. Next, the brothers tried bribing Laban with their father’s riches still left in their home. Again Laban tried to have them killed. 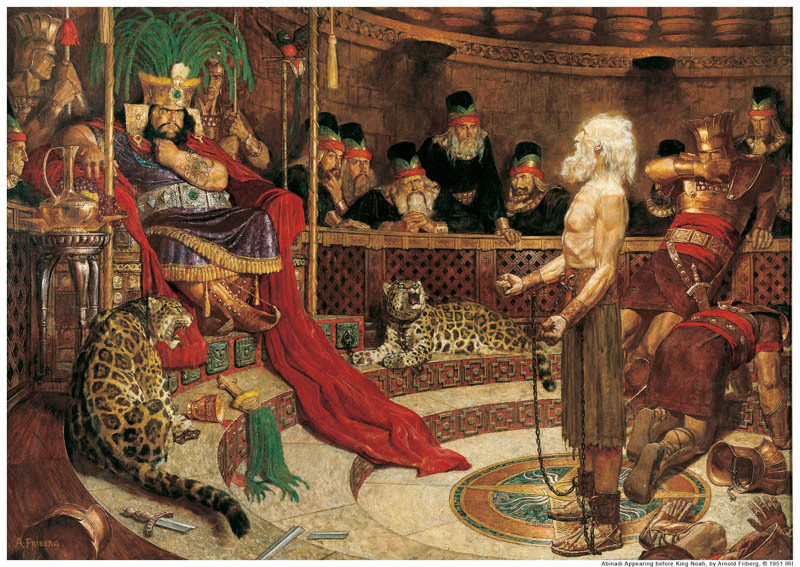 Laman was angry and beat his brothers Nephi and Sam with a rod, because they insisted on trying again. Only the appearance of an angel could stop Laman from continuing to whip them with a rod. Nephi, Laman’s younger and more righteous brother, then obtained the brass plates with the help of the Lord. From this moment forward, a continual tension stayed between the two brothers. Laman always insisted he was the oldest and therefore should be leader. However, Lehi would proclaim that Nephi was the spiritual son, and would lead the family. Laman lost his birthright. To make things worse for him, in his Vision of the Tree of Life, Lehi sees himself sitting under the Tree of Life and invites his family to join him. Only Laman and his brother Lemuel refuse to join Lehi. If Nephi is the protagonist in this story, Laman is the antagonist. 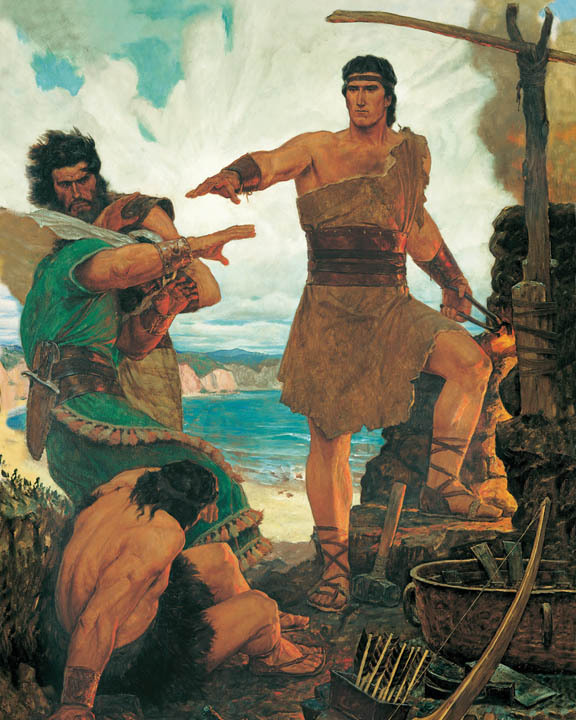 Where possible in the Book of Mormon narrative, Laman seeks to stop Nephi, and even attempts to kill him on several occasions. 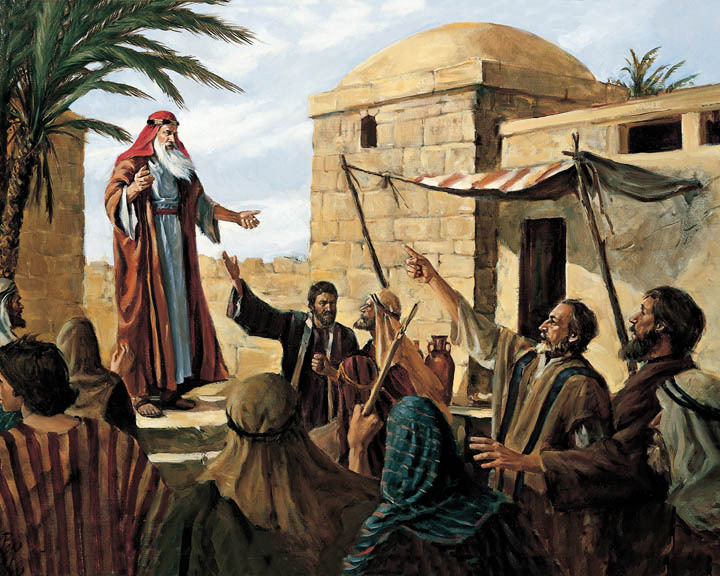 He sees Nephi as a threat to his right to leadership and blessings in the family. 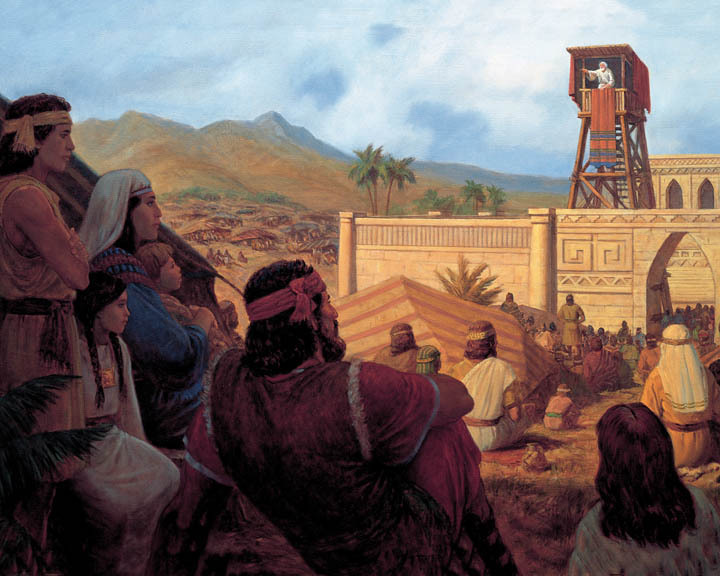 In Lehi’s final blessings to his family, Nephi is promised the birthright, but Lehi promises the children of Laman that while their father may be disobedient and cast out of the Lord’s presence, the day would come when the descendants of Laman would be blessed with the gospel light. When Lehi died, Laman planned again to slay Nephi. Nephi was warned by the Lord to move his people to a new area. Laman became head of the disbelievers, now known as the Lamanites. 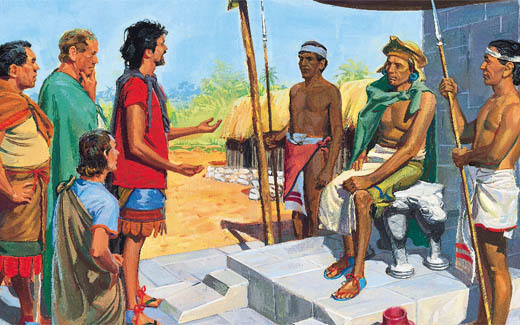 Through the centuries of Nephite existence, the Lamanites would be the thorn in their side to humble the Nephites and bring them back to repentance whenever they rebelled against God. Today, Latter-day Saints believe that Laman is a literal ancestor of some modern day Native Americans, and a cultural ancestor to all native peoples throughout the Americas.. The day will come when these descendants of Laman will discover they are members of the House of Israel, and will retake their place among the covenant people of Israel. The conversion of millions of South Americans of native descent to The Church of Jesus Christ of Latter-day Saints is evidence of this happening.